The store offers something for everyone with exceptional standards of livestock. The livestock section boasts a ten-foot long marine invertebrate aquarium, a special Discus. An African cichlid system with fish from lakes Malawi and Tanganyika, a large selection of tropical fish and a good selection of pond fish and fancy Goldfish. In addition our staff are all enthusiasts and will be only too pleased to show you all the latest gadgets and products on the market. With a wealth of experience, their fishkeeping advice is second to none. Whether you are new to the hobby or a seasoned aquarist, we'd love to see you. 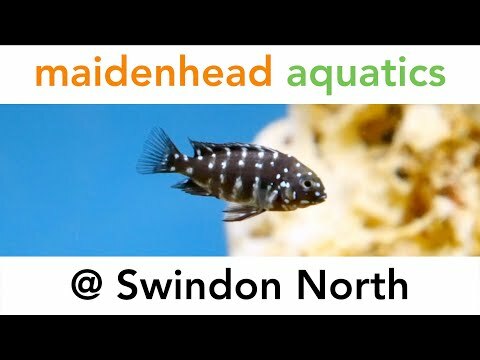 With all this as well as as some superb offers all year round, Maidenhead Aquatics at Swindon North is a must for all fishkeepers.